One of the keys to turning our program around at Newberry College was developing consistency in our offense. We found that teams who convert their third and medium opportunities have the best success rate when it comes to the hallmark of offensive consistency, the long drive. We define a third and medium opportunity as anything ranging from three to seven yards to go on third down. We define a long drive as anything over eight plays and 70 yards. Time of possession is a factor but we do not factor this element into our definition due to timeouts and first downs stopping the clock. On our way to winning the first conference championship in school history we were able to produce 19 of these drives. The long drive, we believe, gives us three advantages. First, it tires our opponent; like body blows to a prizefighter, it takes the defense’s legs away. Second, it allows our defense to rest. Third, it keeps their offense off the field and does not allow them to establish a rhythm of their own. As with any phase of the offensive game we feel that it all starts with the running game. An effective running game opens the defense to play action and screens for big play opportunities. 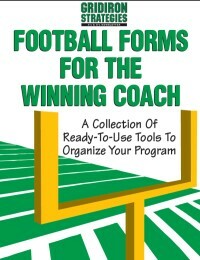 What about those third and four situations that are so critical in the big game? Our third and medium conversion rate was 55% this year and we believe a key factor in our overall success. I am going to share with you our key concepts in converting the third and medium situation that is so critical to offensive success. 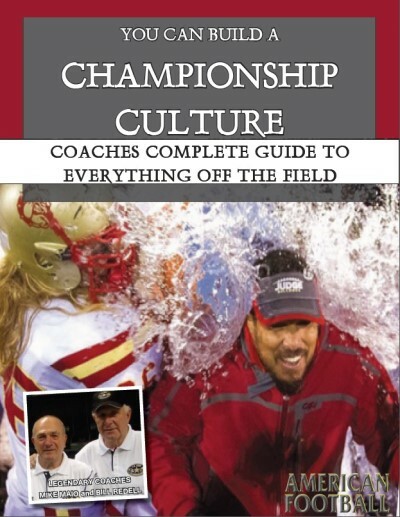 The first concept is that of reading the coverage the defense is using and choosing a play that best exploits the weakness of the coverage. The three most common coverages that we see are: a two-deep zone, a three-deep zone and man-to-man coverage. 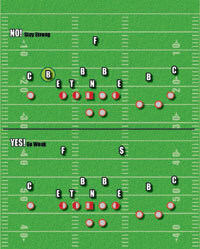 A few years ago I designed a route to beat all three coverages at the same time. We have adjusted the read progressions over the years in order to fit the different situations we have found along the way. We will use the Trips open formation to illustrate the route. The out/vertical concept has long been accepted as a route that exploits the void along the sideline and isolates the cornerback in Cover 2 zone coverage. The route looks like this (See Diagram 1). The read on this route is the cornerback. If he jumps the out by the #2 receiver, then we throw the vertical to #1. We call this the 'Hole Shot.' The 'Hole Shot' should be thrown on a line with great velocity in order to beat the safety as he comes off the hash to cover the void in the zone. The curl/flat concept is also widely acknowledged as a route that exploits the slot defender in three-deep zone coverage (See Diagram 2). The read on this route is the slot defender who is usually responsible for the flats in a three-deep zone. If he follows #2 to the flat then the curl by #1 should come open. 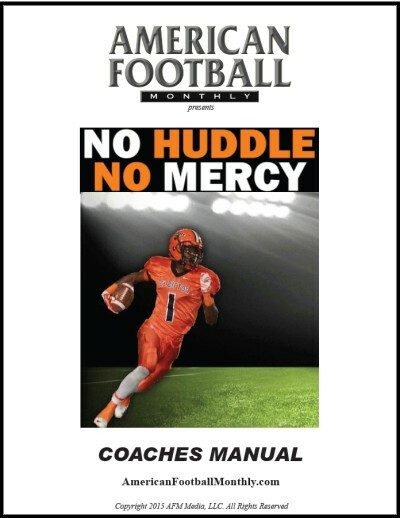 Coaching point: Always teach the receiver running the curl to ‘sit in the window’ – that is, the open space between the curl (ILB) and flat (OLB) defenders. If you get man coverage, the receivers should run the mesh a lot closer to each other (brush shoulders) in order to extricate themselves from tight man coverage. Usually the out cut that breaks underneath the curl comes open (See Diagram 3). 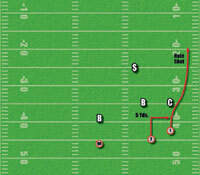 The backside of the route employs yet another concept that we used with great success in our championship run in 2006, the option route concept. This concept is simple. 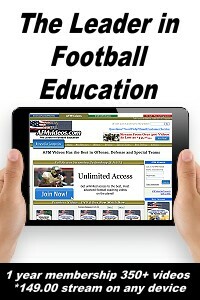 We simply read the alignment of the defense and run one of three routes. The first step is to run the play emphasizing the strong side in order to see how the defense is playing. If we have a box defender in the curl area we will stay on the strong side. 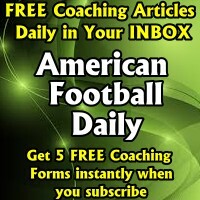 If we have no curl defender and only the cornerback outside the box then we can look to the backside (See Diagram 4). We will throw the vertical route if the cornerback is aligned tight and inside. Coaching point: This throw should have more loft on it if the safety is in the middle of the field. If he is on the hash, throw the 'Hole Shot.' We always tell our QB that the receiver will break off his route into a comeback at ten yards if the cornerback is over the top of him, either from his pre-snap alignment or if he is outrunning the receiver as he goes vertical. If we get outside coverage at all, we will run the slant breaking it at five yards. Whether the corner is pressed or not makes no difference. 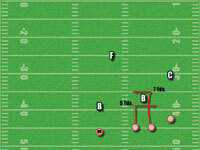 Our receivers work every day against press man coverage techniques in order to be physically tough enough to beat press coverage whether zone or man (See Diagram 5).